‘Her wings take her skyward. His love grounds her. A story of commitment, strength, fight and flight, and most of all hope.’ Liv Lorent (OBE) Director. This 20-minute aerial dance duet is a journey of discovery as two characters find each other, play together, dance together, expose, hurt, sacrifice, lose and ultimately love each other. Biting the dust, and getting back up again, even when you don’t want to. Above all this is a story of hope. 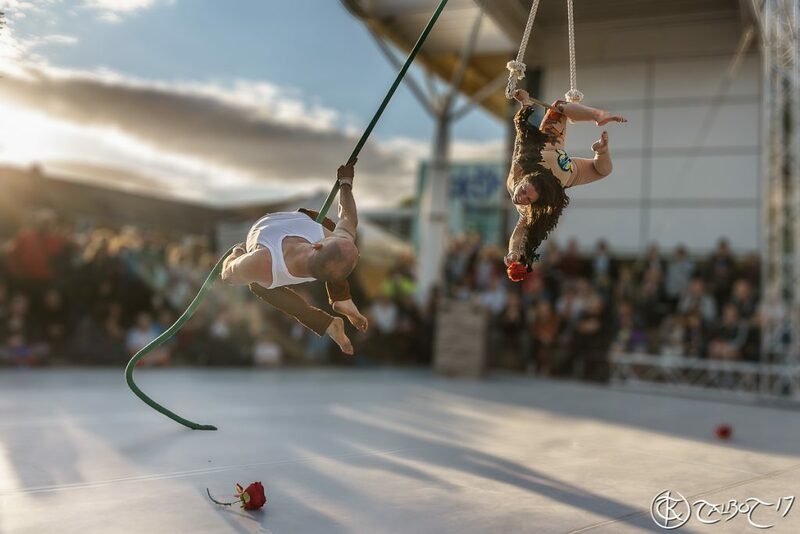 Newtons Ladder is an aerial theatre company with an interest in the exploration of new and alternative ways to apply their discipline, leaving behind its origins in the big top and discovering new audiences and venues. Creating work that translates the spectacle of aerial into relatable and moving theatre one day whilst wowing audiences with death-defying drops the next. 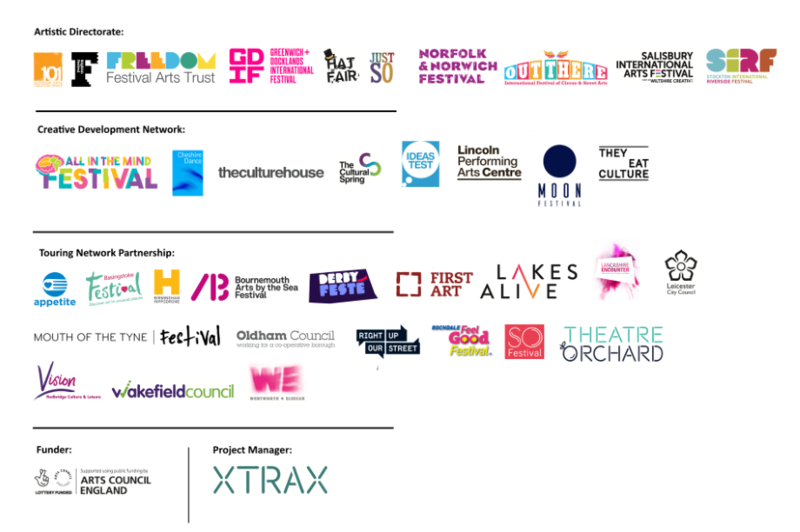 From corporate events to site-specific performances, ensemble shows for product launches to commissioned work with nationally renowned choreographers, Newtons Ladder immerse themselves in their work and constantly seek new performance opportunities wherever they may arise. Collaborators for Hope include Liv Lorent OBE -Director (Ballet Lorent), Scott Twynholm- Composer (Marty goes to Hollywood, BBC2), Gayle Playford- Costume (Taboo BBC1, Beowulf ITV) and Michael Morgan- technical. Liv Lorent is a nationally renowned choreographer and artistic director of balletLORENT. Commissioned by SIRF and supported by Arts Council England and Dance City.